Products with at least one integration have 10-15% higher retention. 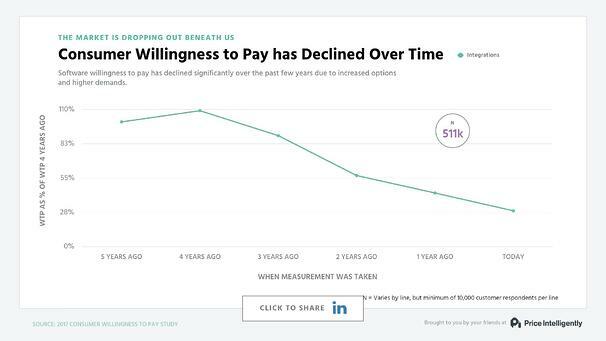 Willingness to pay (WTP) has decreased 70% over the past 5 years. Core products with at least one integration have 10-30% higher WTP. Integrations used to be a luxury. The simple software we used was the bread and water of functionality, so bringing multiple applications together felt like an indulgence we just couldn’t afford. Yet, with the explosion of software, bringing together all of the different tools we use to act as a coordinated unit isn’t just table stakes, it’s a necessity....or so the data shows us. To answer Wade’s question we looked at the willingness to pay data from over half a million software consumers. Here’s what we found. No obligation ask: Click to tweet and thank Wade for prompting this research (you can edit before sharing). As to not bury the lede, the number of integrations your customers use within your product has a noticeable impact on retention. 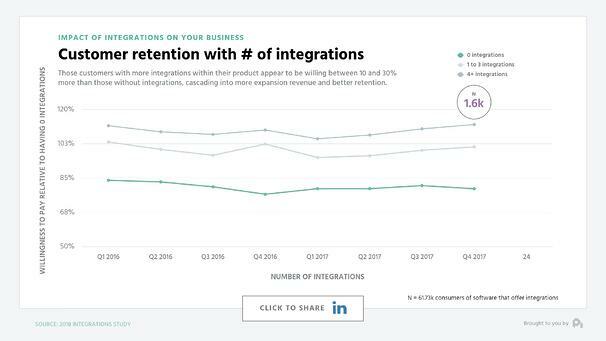 Customers with even one integration appear to have 10% or more better retention on an absolute basis than those with no integrations within your product. 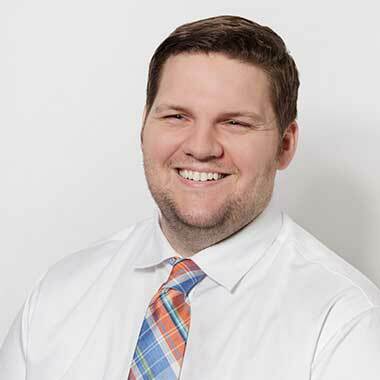 Further, as integrations increase to 4 or more, retention appears to increase by an additional 3-7 percent on an absolute basis. Retention doesn’t tell the whole story though, because this improvement in retention isn’t coming from people upgrading to purchase integrations. Willingness to pay for integrations has actually declined by nearly 70% over the past few years on the back of integrations becoming easier and easier to implement - thanks in no small part to Zapier. Instead, these customers appear to be getting an increased amount of value from the products from which they’re integrating. When measuring willingness to pay, those customers who have 1 to 3 integrations are willing to pay 8 to 13% more for the same core product. 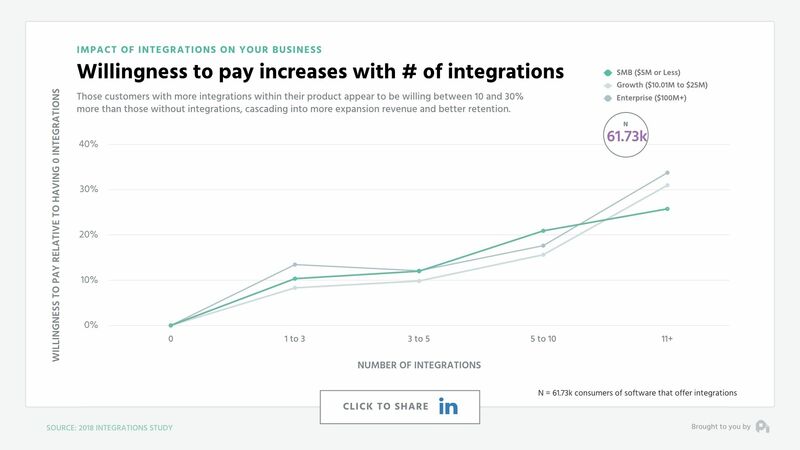 Those with 5 or more integrations start breaking into 20% plus higher willingness to pay for the same core product. Perhaps most telling is this correlation is consistent amongst business buyers of all types - from SMB to enterprise. Essentially, integrations indirectly boost the retention and product willingness to pay of your core product. After all, if someone starts to rely on you as the platform through which value flows through one cohesive unit, then there’s no way they’ll remove your product.